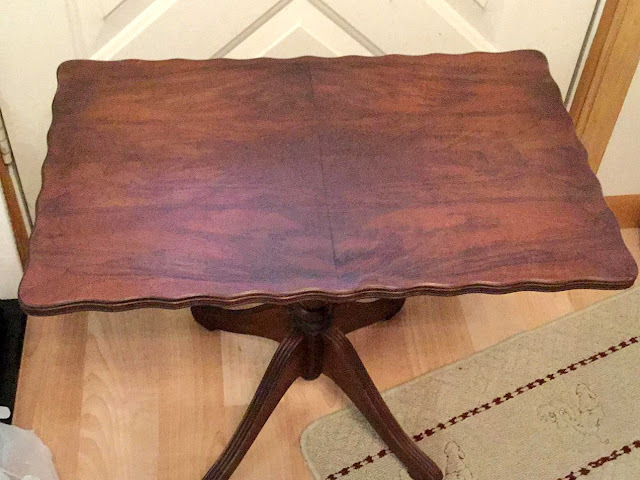 I purchased this small, vintage, coffee/tea table at a garage sale. 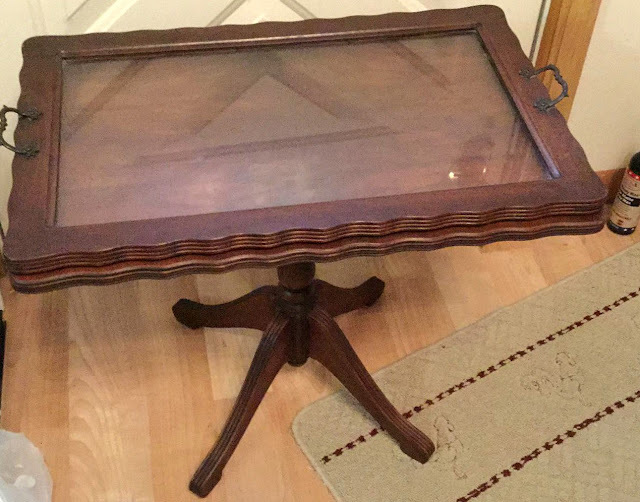 The glass framed serving tray on top just rests on top of the table with small rubber feet. This is the table without the tray. I imagine the little tray set with bone china teacups and saucers back in the day, and maybe a silver coffee or teapot. Nowadays, this little table with serving tray does not belong in our informal life styles. We drink our Keurig coffee in a big mug, a travel mug or a paper cup with lid. 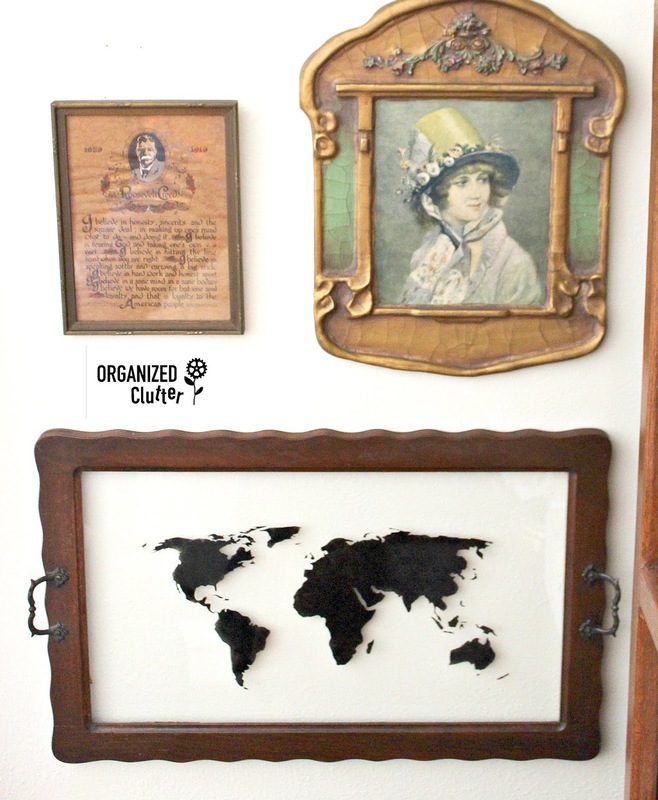 First, I stenciled the framed glass serving tray with a world map, and hung it on my wall HERE. 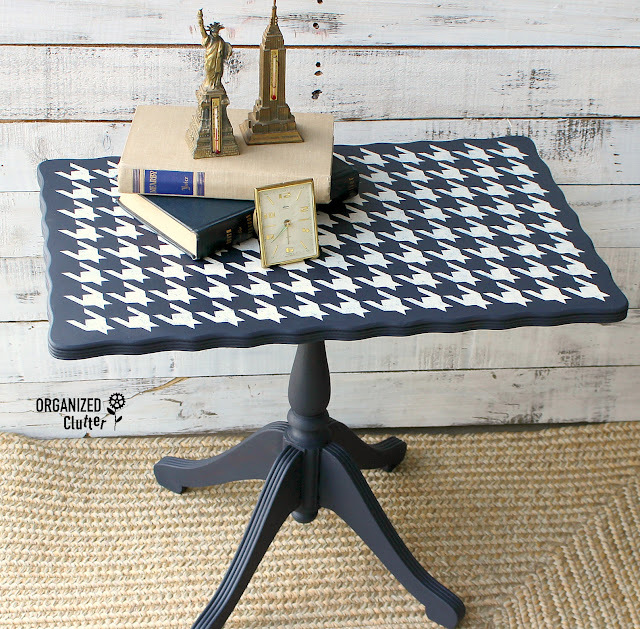 I decided to try Dixie Belle Chalk Paint "In The Navy" on the table. I brushed on two coats of "In the Navy" with two of my favorite brushes, Zibra 1-Inch Square Paint Brush on the legs, and Zibra 2-Inch Stubby Handle Brush on the tabletop. I loved the little table in navy! 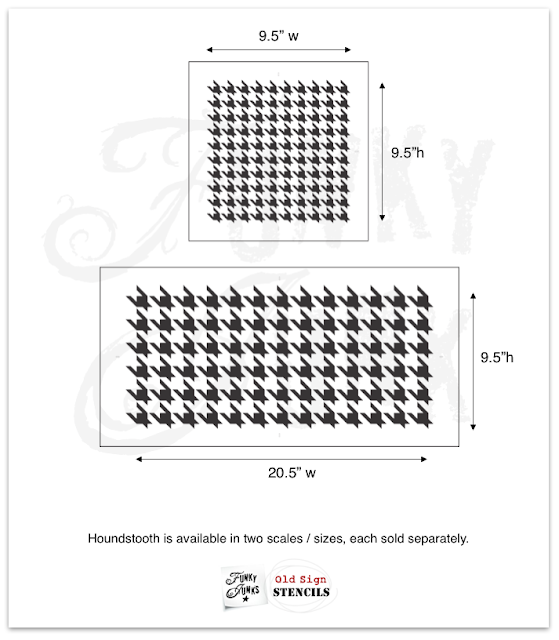 To give it some extra pizzazz, I pulled out my *Old Sign Stencils Houndstooth Stencil. I have the large size stencil. 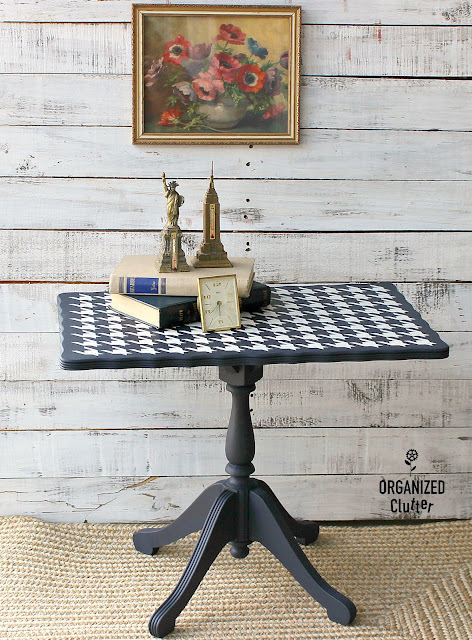 I centered the stencil on the table, and taped it down with blue painter's tape. I had to move the stencil right and left, and re-align it to cover the whole tabletop. *Old Sign Stencils provided me with complimentary samples. All opinions about these fabulous stencils are my own. 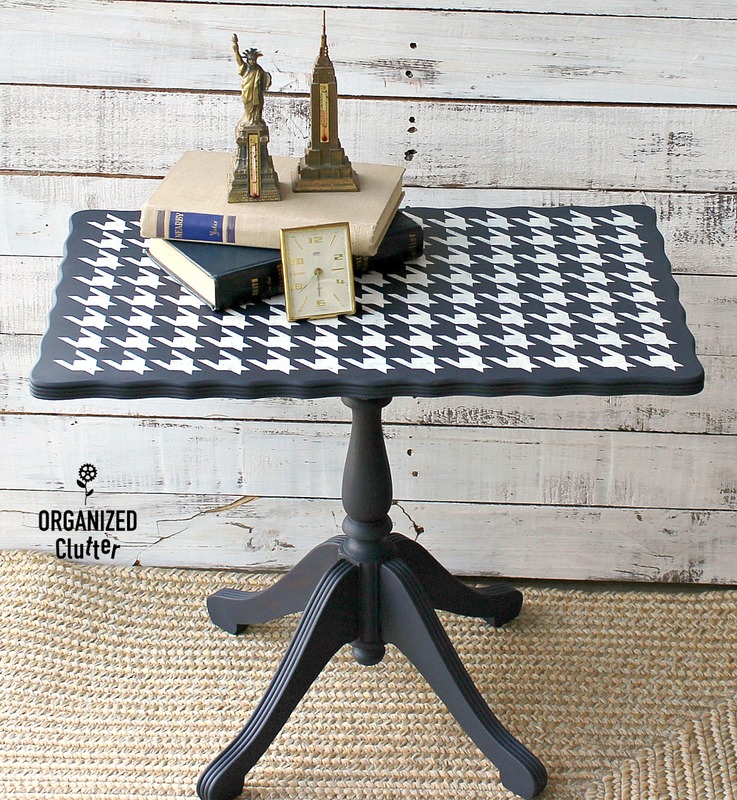 I used Dixie Belle Chalk Finish Paint in Drop Cloth to stencil the pattern. I did not distress the table at all. I used a wax brush to apply a light coat of Dixie Belle Best Dang Wax in Clear . I used one of my fiber rags to wipe it down after 15 minutes. 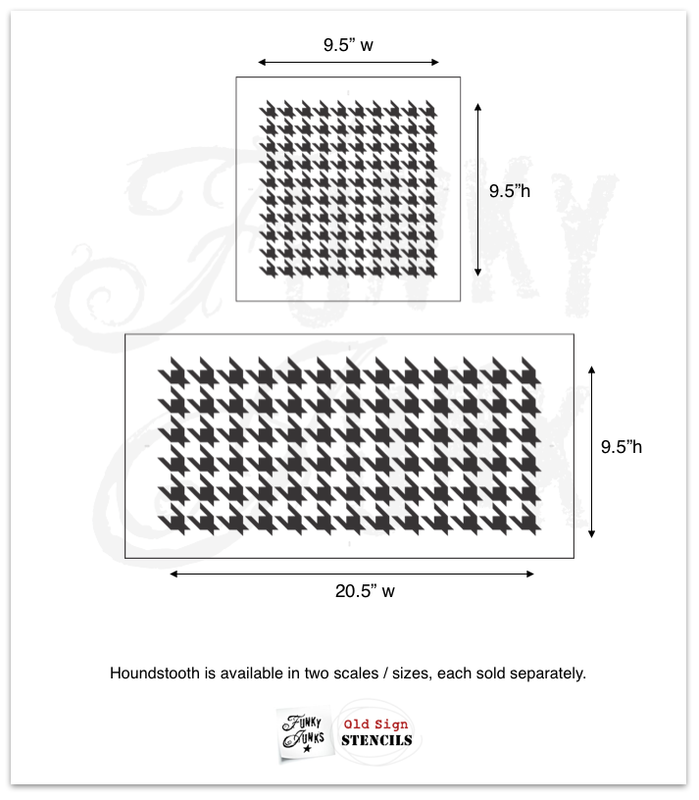 This size would be perfect in front of a love seat or settee. 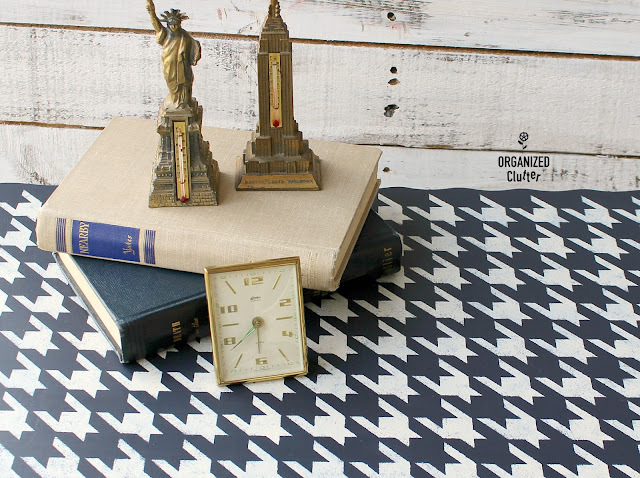 I definitely love "In The Navy", and the houndstooth stencil too! Carlene - what a cute table! I love the navy and the houndstooth also. You do such a nice job with your stenciling. I'm glad you didn't distress it. I like the smooth blue paint - I love that spindle and the feet of the table. You did a super job, as always! Wow... this is such a stunning outcome Carlene! I truly thought it was black and white too... the idea of navy is even more super intriguing! Beautiful execution.